I've been so much out of the loop with non-Swedish music of late that I've had a couple of pleasant (French) surprises in the last couple of days. "Cold Shower" - Salem: stunning opening track to the new album which just seems to get better with every listen. Clever call-and-response lyrics wrapped up in a confident and intelligent musical arrangement. "One of the Others" - Salem: still my favourite on the new album - a perfect example of timeless songwriting. A totally amazing song. "Astronaut" - Salem: the current single, but it seems to make even more sense on the album. Becomes more lovely everytime I hear it. "Brooklyn Sun" - Salem: a beautiful, new, unreleased song performed live last weekend at Bengans in Stockholm. I'm not sure how long it will be around on YouTube so check it out while you still can. "Roxy" - Salem: coincidentally I am actually listening to this song right this minute. The more I hear it, the more it screams "international hit", it's such a fun song you can't help singing along with it. "Jai Ho" - AR Rahman & the Pussycat Dolls: with "Slumdog Millionaire" mania still going, the PCDs go for a quick and very catchy cash-in. "I'm Not Alone" - Calvin Harris: I still think this will be a massive hit, although so far my (dull) local radio station is ignoring it. Poor old Calvin's not too well at the moment - hope you get better soon! "Shake It" - Metro Station: there is probably something deeply wrong in liking this because it has a member of the Cyrus family on it, but I do find it terribly catchy, against my better judgement. "Forever" - Måns Zelmerlöw: rejoice, for the album is out, and I will be buying it when I go over to Sweden in three weeks. This is like Basshunter's "All I Ever Wanted" wrapped up in pure Måns-tastic-ness. "Tingeling" (about 40 versions of this at the moment, any one will do). Yes I know it's wrong, but as the great Kanye West once said ...."I can't get much wronger". I'm kicking off an occasional series now, of some Swedish songs from the past which are pretty special to me. "...sorrow and pain, in the air that I breathe"
Extremely moving soulful song from a few years ago, "Tears Never Dry" never fails to move me and I always get a lump in my throat whenever I hear it. Forgive me if I'm not 100% excited about the pending Spandau Ballet reunion. (And before you say anything, I was a big fan of the band in the 1980s, so I'm not just just making a cheap shot before you ask). The split was one of the most acrimonious band-splits I can remember, yet suddenly the differences are all put aside for a reunion tour which is predicted to make an estimated £12 million for the reformed Spandau Ballet. So forgive me if I feel a tad sceptical. Tonight I checked 'Planet Sound' (a daily must-see on Channel 4 teletext, for British TV viewers) which announced the tour dates and the ticket prices. £45 to £60 per ticket. Now I'm not being a cheapskate, but isn't it all a bit too much? For a band which, just a few years ago, couldn't even bear to be in the same courtroom as each other never mind stand and play on the same stage? Yes it's back to sunny Deutschland for faithful travelling companion and myself in May. Regular readers with long memories may just remember that Dusseldorf was a contender for our Summer 2007 holiday but was beaten by Berlin. (The main reason it missed out that time was that we couldn't get any flights to the Dusseldorf international airport - only the one a million miles away which is used by a famous low cost airline - however we now have the option of flights from a local airport to the main airport which made up our minds this time). Still to book a hotel - will do that within the coming week. Dusseldorf was actually plan B, as plan A was Munich but the extremely high cost of flights and hotels put us off. It'll be like 2008 all over again - last year we went to Dublin and two weeks later we were in Riga; this year history is repeating as we'll be in Gothenburg and then in Dusseldorf two weeks later. The one thing I can predict is a mad rush and manic hysteria between now and then, but it will all be worth it!!! Many many years ago computer buffs used to talk about "the blue screen of death". Now I have a musical equivalent: the increasing instances when I go to YouTube and get "the pink toolbar of death", taunting you with the words "This video is not available in your country". And no matter what you do, you click and click but still the pink toolbar laughs in your face and coughs a defiant "COMPUTER SEZ NO!" "HARRY HILL'S TV BURP" (ITV1, Saturdays) has, after a slight dip in quality (by his impossibly high standards) once again hit a comedy goldmine in recent weeks. The Lion Man, the 'knitted character', the jelly, 'the milk's off!!!!" ....this probably makes no sense if you don't watch it, but if you do then you know why I love it. "THE LOST WORLD OF COMMUNISM" (BBC-2, Saturdays) is a short but highly fascinating series to commemorate 20 years passing since the end of communism in Eastern and Central Europe. The episodes so far, on the German Democratic Republic and Czechoslovakia, have mixed familiar tales with untold stories and previously unseen video footage to create a compelling programme. Make sure you catch the final show this week, about the Ceausescu dynasty in Romania. From the sublime to the completely ridiculous: "POP GOES THE BAND" (Living, Mondays) has been the ultimate in car crash reality TV as old acts are given a makeover. In the case of Dollar, it involved various surgical and non-surgical procedures, leading up to the big event...a reunion (mimed) performance of "Mirror Mirror". Comedy gold, but for all the wrong reasons. The episode about Bucks Fizz was quite compelling though, as we got a bit of an insight into some underlying tensions. And at least they sang live at the end of it. Other episodes have seemingly featured Cleopatra, Visage and - wait for it - Shakatak!! For a confirmed wedding-phobic like myself, I find it rather funny that I'm occasionally addicted to satellite channel WEDDING TV which as you would expect does what it says on the tin and has lots of wedding-themed programmes, like "For Better or Worse" which is a bit like an American version of "Don't Tell The Bride" - how to do a cheapo wedding and get yourself on the box at the same time. I chose to ignore the most recent series of "DANCING ON ICE" (ITV1, Sundays) because it's just interminable. It goes on for about 3 or 4 hours every week (OK it just feels like it) but I finally succumbed and watched the final between serial reality contestant Ray Quinn (ex- X Factor), serial reality contestant Jessica Taylor (ex-Popstars The Rivals) and investigative reporter Donal MacIntyre (ex....."MacIntyre Investigates"?). Todd Carty and Coleen Nolan made all the headlines this series for John Sergeant-type 'vote for the worst' scenarios. Oh and Ray Quinn won. Quelle surprise! Have to admit he was the best though. In the latest series of "COME DINE WITH ME" (Channel 4, Sundays) it's not enough just to rustle up some silly starters and a fish dish with a posh name. Oh no, you've got to put on a show, with one competitor going to the extent of impersonating Amy Winehouse! Pity she didn't have Back to Black Pudding as her main course (groan). 3. Empty Room - Sanna Nielsen. 5. Hero - Charlotte Perrelli. 13. I Lågornas Sken - Nordman. I'm taking the rare step of publishing the same feature on two of my blogs today, purely because I need to tell as many people as possible about how great the new album by Salem is. I have already published my review at Planet Salem, which has had its busiest and most successful week ever! Happily, Salem has managed to avoid this and has created an album which is more cohesive than the experimental "This Is Who I Am" - there are no instrumental interludes this time, for example - but it’s no less diverse; no two songs sound the same. My only criticism of this album is that it’s too short! A couple more songs would have been nice, or am I just being greedy now? :))Anyway here is my track by track review, based on my listening to the album over the past 24 hours. The major change/development in Salem as an artist, for me, is the emotional depth which has come into his singing and songwriting since the last album.The title track (and second single) is just beautiful. On this track, there is such sadness, emotion and regret in Salem’s voice that you can’t fail to be moved by it. At about 1:30 into the song there is a little moment where it stops and starts again ("...she left him to be with me") and that particular moment always gets me every time. Like "Hymn", this immediately makes me think of film soundtrack music. This definitely points towards Salem doing film soundtracks at some point later in his career: I’m sure he would excel at this. The most moving, heartbreaking song that Salem has ever written, filled with raw emotion. In one of the Swedish press interviews this week, Salem was asked about this song but found it too painful to talk about it (Someone once told me what it was about, but I won’t go into detail here, with respect to Salem). If you are not moved by this song then you have no heart or soul. 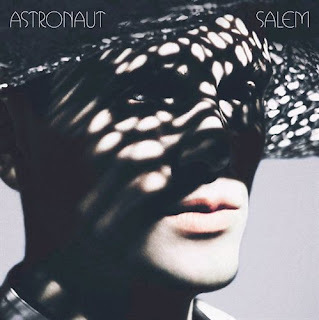 Salem is an artist who has been blessed with a unique and special talent: "Astronaut" is a diverse, ambitious, rewarding and timeless collection of songs.Thank you, Salem, for sharing them with us. These are from the brilliant Weebls Stuff website which I may or may not have mentioned before on here. Lots more nonsensical animation and daft songs at www.weebls-stuff.com. ....I decided to get the local bus home from town tonight. Now there is a very good-looking young bus driver on that route at teatime - and tonight it struck me that he is a better-looking version of Mattias from E.M.D. (or is it Erik from E.M.D.) anyway it's one of them, you know, one who isn't Danny! This week's playlist: can you stay up for the weekend? I'm Not Alone - Calvin Harris: truly the first great (non-Swedish) song of 2009. Long-awaited comeback from this very inventive and talented young man....I can't wait to hear his new album if it's as good as this. The Queen - Velvet: it may not have gone far at MF but it's beginning to have a post-MF iPod longer life for me. Cracking little dancey pop song. Singing That Melody - Swingfly: I'm not sure how this is going to do in the UK (it may have bombed already for all I know) but it's sooooo addictive and I'm listening to it a lot again. Breakeven - The Script: it's not new by any means, but for some reason I seem to love this song more now than I used to. They have their critics, but I like them a lot. I see they did very well at this week's Irish music awards. Must do a post about that over the weekend if I remember. Stay The Night - Alcazar: the "disco defenders" may have missed out at MF (yet again) but they will always be winners in my heart. Star quality and discotasticness, to the max. Baby Goodbye - E.M.D. : Black suits, white suits whatever, I just find this song irresistible. Higher - Star Pilots: Still loving this big time. Roxy/Bluest Eyes/Cold Shower/One of the Others - Salem Al Fakir: from Swedish radio P4's "Musikplats Stockholm" live session last Friday, some rather fabulous new songs whilst I wait for "Astronaut" to drop through my letterbox and when it does....this playlist will know it!! As is now an annual tradition, the final of Melodifestivalen took place in Globen in Stockholm and thanks to SVT’s mainly faultless webstream I was able to watch it live. As final line-ups go, I wouldn’t really call this a classic year but on the other hand it was probably one of the hardest to predict in recent years. Who would win and go to represent Sweden at this year’s Eurovision in Moscow? Before this year’s round of heats started it looked as if Måns Zelmerlöw had it in the bag and he would be this year’s "chosen one". But MF can have a habit of delivering a number of surprises along the way: just looking at the list of names before the contest, you could have imagined Scotts and Shirley Clamp easily progressing to the final, rather than the likes of Emilia or H.E.A.T., for example. This year’s MF presenter, comedienne Petra Mede had big shoes to fill - how do you follow Kristian Luuk? But amazingly she did. After week one, the critics were calling for her to be given the chop - but she turned it around and put her own sharp and funny stamp on the proceedings and kicked the show off in fine style with a big musical number. Being drawn first can be a very good thing at MF: like last year’s winner for example. So Måns Zelmerlöw went out and gave it his all on "Hope and Glory". I still had my reservations about the staging of the song, he could have done without the "Pussycat Dolls" and I never really liked that suit, but apart from that, this song has become one of my favourites this year even if it was a bit Fredrik-Kempe-formulaic and didn’t break new ground. Second position is always the "draw from hell", so it was appropriate that this year’s entry-from-hell was put there. I have never understood the hysteria which followed Caroline af Ugglas’ "Snälla Snälla" still I guess if voters wanted to make some subversive anti-schlager statement then this was the song they’d go for. Idol winner Agnes looked great in her gold catsuit and Leona Lewis hair, and for a while the Swedish tabloids predicted that "Love Love Love" could do it. The song is ok, if a little dated, but I still think it lacked those necessary moments where it could soar and become a real contender. One of my pre-final favourites was "1000 Miles" by H.E.A.T., which was one of this year’s more unlikely finalists on paper, however this retro-rock number appealed to me from day one (and their drummer certainly appeals to me and many many others!!) I thought they performed this brilliantly and even though it was no winner, for me it was one of this year’s best. Emilia Rydberg was one of the more surprising finalists so it wasn't really surprising that "You're My World" was going to be one of the evening's also rans. It's not that bad, but it's not that great either. Alcazar utterly deserved their place in the final. Just as in their earlier heat, they brought pure star-quality from the minute they hit the stage to sing and dance their way through the fabulous disco inferno that is "Stay The Night". Sarah Dawn Finer was another possible winner, although I got the feeling that people may have got a little tired of the routine and staging of "Moving On", after being subjected to it several times in the last two weeks' heat and Andra Chansen. And so to another one of my fave songs: "Baby Goodbye" by E.M.D. A costume change for the final - out with the black suits and in with white ones, presumably to make them stand out from the backing dancers. Still doing that Sam Sparro video routine though. I like "Baby Goodbye" and again it’s become one of my iPod favourites, but for some reason I couldn’t see it winning this year though, despite their huge popularity with young fans. I felt that "Alla" by Sofia didn't deserve its place in the final (it was the international jury wild card choice) and this was, well, my opportunity for a comfort break. This was Molly Sanden’s first year at grown-up MF and I think we will see her for many years to come. Is she the new Carola/Sanna? Unlike the perpetually childish Amy Diamond, Molly is a mature singer who delivered "Så Vill Stjärnorna" well. I thought she may have been in with a chance, but it seems that the Swedish public are finally tiring of the predictable Pling-ballads. Being drawn last is always a very good place to be in MF...which will have done Malena Ernman no harm at all. "La Voix" was not one of my favourites, I'll admit, but it was very well staged and she did what she had to do. One thing I haven't been happy about this year is the introduction of taped backing vocals, and they were very prominent on this song, which leaves me wondering how it will work live in Moscow with live backing vocals? Interval acts: those two bad-taste comedians and their wonderful "Ting a Ling" song which I cannot get out of my head; and Moto Boy duetting with Charlotte Perrelli on a slow acoustic version of "Hero". The voting: firstly the international jury which chose "Moving On" as its top song, and then onto the regional juries: I won't go into detail here but will direct you to http://en.wikipedia.org/wiki/Melodifestivalen_2009#Melodifestivalen_2009 for all the stats you need. So it's Malena for Moscow. I know I was a bit grumpy about it last night, but enough time has passed and I can accept this result now. "La Voix" has a very memorable quality to it - a very important fact in Eurovision when most people will never have heard the song before. It's certainly not the worst entry this year, and it proves yet again that the Nordic countries are really going for it this year putting in a very strong set of songs (although Iceland has let me down). And yes I will be cheering Sweden on because it's been 10 years since their last win so they really need to do it again. ...in the immortal words of the great philosophers Steps, "better best forgotten". "Free Yourself" by The Untouchables, a groovy little ska-soul-dance blend from 1983 which popped into my mind today and I had yet another one of those "must put them on Retro...." moments. This song is 26 years old. Pretty scary thought actually!! "Cry Little Sister" is a song from the "Lost Boys" soundtrack, which completely passed me by in its time. I had never heard this song till a couple of years ago when I went to the theatre and an illusionist-act used this song. I went home that night and did an internet search for this song and downloaded it. I'd forgotten all about it till it came on my iPod on shuffle during the week whilst I was walking home from work and I had that moment of revelation - "I must put this on Retro Saturday!!" "Do It Yourself" is an utterly amazing album by the way... you need to check it out - "Sink My Boats" is a fabulous song. Remarkably, no singles were released from this album! A true talent ahead of his time. I love these alternative-versions of MF winners - last year it was Maia Hirasawa taking on The Ark, this year it was Moto Boy's turn with a surprise guest vocalist. None other than La Perrelli herself. Stupid Orebro. But at least they gave EMD 12. Norrkoping: SDF's only 1 point behind. Gothenburg: My favourite city I love you I love you!!!! Vaxjo: Nooooo - low marks to Alcazar, but they redeemed themselves with MZW....who's still top!! Malmo: 1 to Alcazar. (boooo) 12 to H.E.A.T. yay!!! I liked them and glad they've picked up votes. Stockholm: He's not really standing at Sergels Torg is he? Isn't it a bit cold? Stockholm jag alskar dej ocksa!!!! "We're still standing for Hope and Glory....!!!!!!!!!" By the way apologies for my Swedish words, I've lost Character Map in the great computer disaster and can't put all those little letters in! Now it's on to the public vote....don't let us down Sweden!!! MZW and Alcazar top 2 ....I think I'm going to pass out. MZW 1st, Caroline 2nd, Alcazar 3rd....!! Well, my internet connection is alive (just) and I've had a relatively uninterrupted MF bonanza tonight. That international jury vote was very....different to say the least - that Serifovic woman would go to the opening of a Eurovision envelope wouldn't she!! Despite the low international score I've still got a feeling about Malena. But they should just send "Ting a Ling" instead!!!!! Melodifestivalen prediction....I'm not making one. Anyway I've never known a year like this one when there wasn't an obvious "chosen one" to win....the obvious pre-contest winners are now being sidelined and the Swedish press is tipping tonight's big battle will be between Malena Ernman and Caroline af Ugglas, neither of whom I want to win, to be honest. I will be happy with Mans or Alcazar or E.M.D. or H.E.A.T. winning, otherwise I don't really care about the rest of them. So depending on my computer troubles I may or may not be back later with a review. Sorry I'm so down in the dumps, but my computer/internet hell is just getting me down right now. Good news for fans of everyone's favourite Swedish Bruce Springsteen soundalike. Aftonbladet reports here that Moneybrother's follow-up album to 2007's "Mount Pleasure" will be released in April. a.k.a. Killjoys on the rampage part 2. I'd have to say that most of this year's Eurovision entries - the ones I've heard anyway - "don't impress me much" as the great philosopher Shania Twain would say. One that did appeal to me was the Georgian entry, the hilariously titled slice of disco inferno that is "We Don't Wanna Put In" by Stefane and 3G. Immediately we knew its days were numbered and it was only a matter of time before the Eurovision bigwigs were showing the disco divas the door, for "political reasons". EuropeCrazy is two years old today. I can't believe that two years have passed since this little blog made its way into cyberspace, the day after the 2007 Melodifestivalen final. Once again I can only echo my birthday message from a year ago and thank all the lovely people that I have "met" through doing this blog, it's a real pleasure getting to know you all and finding out about your lives and interests and musical obsessions! Blogging is a great hobby and it has certainly brought a lot of happiness into my life. I can't imagine what life was like before blogging!! Needless to say it now occupies a big part of my time, but I'm loving every minute of it and I can see myself doing this for a long long time to come. However, as you know at the moment I am mainly occupied with Planet Salem and I thought it would be as good a time as any to announce that for the next 4-6 weeks, there will be a reduced number of posts on EuropeCrazy - don't worry, I'll still try and post when I can, but I can't really give the same commitment at the moment as I maybe used to (aah memories, the 10 posts per day blogging frenzy) but from May onwards, normal service - whatever that is - should and will be resumed. It gives me such a great buzz to know that people are reading what I've written, so to each and every one of the 28,195 visitors who made their way to this blog over the past 365 days (thanks to good old Sitemeter for those stats)....a massive thank you for visiting and I hope you enjoyed reading this little blog. Higher - Star Pilots: if their record company had any sense they would give this a Europe-wide release and it would be a massive summer hit. Hope and Glory - Mans Zelmerlow: a very familiar fixture at EuropeCrazy HQ over the past week, even my mum can sing along with it by now! Tick Tock - Nina Soderquist: this didn't initially register with me but I now love its high energy scary-rock-dance vibe. Baby Goodbye - E.M.D. : try not to whistle along with this one....! Great memorable pop that sticks in your brain very quickly. Stay The Night - Alcazar: same here. I could remember the tune after only one hearing, but inevitably this won't win on Saturday either. Jag Tror Pa Oss - Scotts: I'm still finding this a ridiculously catchy foot-tapper. Standing on the Shore/We Are The People - Empire of the Sun: I still can't get past the first four tracks on "Walking On A Dream" (that review will get posted on here someday) and these are my favourite two this week. Det' Det' - Sukkerchok: Danish reinvention of Katy Perry from this year's Dansk MGP. Every day the killjoys are out to spoil our surfing fun. Digital Spy reports here that YouTube is about to block music videos to British users after they failed to reach an agreement with the Performing Rights Society over licensing. Last night, the Melodifestivalen circus rolled on into Norrköping, for Andra Chansen. Once upon a time Andra Chansen used to be hidden away on Swedish TV on a Sunday afternoon, but not anymore. Now it’s a big event although IMHO I don’t like the duel-system which was introduced at last year’s Andra Chansen and which (IMHO again) has ruined the whole contest for me this year. Duel 1: Scotts "Jag Tror På Oss" vs Sarah Dawn Finer’s "Moving On". Scotts provided an energetic start, although I thought the girls in red sparkly frocks doing their Afro-Dite style routine was somewhat distracting. This song has really grown on me over the last couple of weeks and isn’t Henrik such a charming frontman? There was a major shock last week when Sarah Dawn Finer didn’t go directly to Globen as predicted. She had a further setback this week as she was unwell during rehearsals. It certainly showed as she was a little strained and it was all a bit dull for me. I’m snoozing on, and I’m gonna get sleepy now. Result: Sarah Dawn Finer to next round. Duel 2: Lili & Susie’s "Show Me Heaven" vs BWO’s "You’re Not Alone"
L & S gave it their all on the camp power-disco-schlager number, but for me there was something a bit dated and has-been about it. Needless to say I was supporting BWO, although I still had my reservations about those outfits. Martin’s hair was a bit too girly and he looked as if he was wearing too much make-up. Despite all this it was still quite mesmerising. Result: Lili & Susie to next round. Maybe it’s just me, but I got the feeling that there was something quite ‘final’ about last night and I can’t really see BWO going back to do MF again. Duel 3: Amy Diamond’s "It’s My Life" vs Star Pilots "Higher". Amy Diamond = rubbish. Last night she unravelled big time, she was vocally an embarrassment. Plagiarism or not, I totally love "Higher" and can even see this making my 2009-50 at the end of this year. Johan sang really well and the guys gave a very energetic routine. Result: Star Pilots to next round! Yay! At last one of my favourites through. Duel 4: Rigo & Topaz Sound’s "I Got You" vs Caroline af Ugglas "Snälla Snälla"
A.K.A. The devil versus the deep blue sea, it was inevitable with the duel-system that you would get a duel where you weren’t really keen on any of the two songs so it was with this one. No offence to Rigo & co, they were lively enough but it’s really irritating after a while. As for Caroline, she provided a very bizarre diversion from the evening’s uptempo schlager, although this is still a non-song for me, although I do acknowledge it was performed with feeling. If Caroline was wearing the most famous MF-boots since the Herreys, it led to a very funny moment when Petra Mede revealed she was wearing wellies under her ballgown! Result: Caroline to next round. And so to those two comedians, whose names escape me right now. I know it’s so wrong to like that "ting a ling" song, it’s sooooooo wrong, but maybe Sweden should just have sent that to Moscow instead. "Tack Norrköping!" Indeed. Sarah Dawn Finer beat Lili & Susie. Sarah was certainly more assured in her second performance of her song. Don’t you think that Fredrik Kempe is looking ultra-smug at the moment though? He had a lot of songs in this year’s contest, but this always results in a conflict of interest - which song would he prefer to win in Globen? Caroline af Ugglas beat Star Pilots. Bit gutted about that but I suppose it will provide something different in the final I guess. I still don’t get it though. I played "Snälla Snälla" to my mum and her reply was "rubbish rubbish rubbish rubbish". A completely pointless exercise this year IMHO. Surely the point of the international jury should have been to put different songs through every week from the ones which had already qualified for the next round. Of the four songs they chose, only Sofia’s "Alla" wasn’t a qualifier so in a way I’m glad they chose it for the final even though I don’t particularly like this song and there are better songs which could have filled that extra spot in the final. If they are going to do this next year, Bjorkman will need to give some thought to revamping the idea. So it’s Sarah, Caroline and Sofia to next week’s final in Globen. I’ve got this horrible feeling that I’m not going to agree with the winning song. "If I see a light flashing, could this mean that I'm coming home?" Dancey, trancey, and rather fab. Welcome back Mr Calvin Harris. You have been missed. Eurovision (Russia) why don't they make them like this anymore? What's with that "Mama" thing anyway?????? To console myself I've gone back to 1994 in Dublin for Russia's first ever ESC song. That girl and that dress. Enjoy the amazing-ness of it all. And so to the last song in my "all-time favourites" list. Regular readers of EuropeCrazy are certainly familiar with the story of how I found Salem's music and how it turned my life upside down. You will also not be surprised to learn that "Good Song" http://www.youtube.com/watch?v=suCyWKAxeQE is my favourite song of all time, even though it's just over two years old. And you can't ask for any more than that. "I'll take you down the only road I've ever been down...."
I remember the day "Urban Hymns" came out. I got on a bus into town, went to Woolworths (R.I.P.) and bought it and played that album relentlessly, but the one track I played more than any other was "Bitter Sweet Symphony" which immediately went into my all-time favourites chart. Another one from my top 10 songs of all time. A timeless Motown/Northern Soul track which, like the aforementioned Sparks song, had a major effect on a 9 year old child in 1974 and still excites me today. I know Retro Saturday's been going for quite a while on this blog, but in preparation for our second anniversary celebrations on Wednesday (yes!) I thought I'd devote this week's feature to some of my all-time favourites. So I begin tonight with an all-time classic from 1974 which would be one of my "Desert Island Discs".... "This Town Ain't Big Enough For The Both Of Us" by Sparks. Unusual, unique and exciting. If you remember it then you know what I mean, if you are too young to remember it then go to http://www.youtube.com/watch?v=Ax8JYmoRhy4 and just marvel at Russell Mael's big hair and Ron Mael's .....big stare. I think the word is ..... legendary. My most recent fond memory of Sparks is "When Do I Get To Sing My Way" which was a hit in Europe in 1995: the video's at http://www.youtube.com/watch?v=Pvatys8vP3s&feature=related, but amazingly, they are still going. Once again I can only apologise for the lack of posts on here. I'm very busy with Planet Salem at the moment, and so I haven't been able to post here as much as I'd like to. Anyway, something fabulous has happened this week. Salem Al Fakir's official website is back - it's at www.salemalfakir.com - and if you visit that site and click 'fanblogs' you'll find a link to none other than Planet Salem, and the most recent posts are featured on that page! So my blog is now part of his website. How fantastic is that????? Now that the MF 2009 songs are all in the public domain, as it were, I got to thinking just how many of these I will actually continue to play after the contest is over. Verdict: not many, as it turns out. Oh well I suppose 8 out of 32's not that bad....and you may ask where's "You're Not Alone", but I don't really think it's up there with the BWO greats and I can't see it getting out of Andra Chansen. Anyway what's with the mania about "La Voix"? I know people are fed up with the same old song representing Sverige year after year, but this just isn't doing it for me at all. I can't really get the hysteria over "Love Love Love" either, it's ok but doesn't really hit the heights you'd expect it to. I'll post my Andra Chansen predictions later in the week. Metro Sweden reports today that one of my favourite old Swedish singers Tomas Ledin will be on tour this summer. Presumably a new album is on the way? He's been making music for almost 40 years now - can you believe it? I wonder how many of today's stars will still be around in 40 years time?? 3/7 Skellefteå, 4/7 Sundsvall, 8/7 Kristianstad, 9/7 Helsingborg, 10/7 Varberg, 11/7 Svedala, 15/7 Borgholm, 17/7 Linköping, 18/7 Karlskoga, 22/7 Halmstad, 24/7 Leksand, 25/7 Åbo (Finland), 30/7 Stockholm, 31/7 Luleå, 1/8 Vallsta, 8/8 Örnsköldsvik, 15/8 Arvika, 20/8 Göteborg, 21/8 Porsgrund (Norway), 22/8 Sarpsborg (Norway). That rather nice "Broken Strings" by James Morrison & Nelly Furtado is currently top of the German singles chart this week. Highest new entry at no.5 is "The Colour of Snow" by Polarkreis 18, the follow-up to the brilliant "Allein Allein" (which is still no.7). I like this new song too. Another major star with two songs in the top 20 is Peter Fox, who came to my attention with his rap on Miss Platnum's "Come Marry Me" a couple of years ago. "Schwarz zu Blau" (no. 3) is quite a dramatic and rather good track, whilst "Haus am See" has been around a lot longer and is still no.9. Reamonn have been around with their big anthemic rock ballads for a few years and are still very popular - "Million Miles" is a new entry at no. 23. Nothing too original about this, but it's OK. I remember Max Mutzke when he did ESC with "Can't Wait Until Tonight". I didn't know he was still around, but "Marie" is currently in the top 30. Those in search of cheese will find much to enjoy in the current works of Tim Toupet and Michael Wendler. And then it was on to Latvia. After MF I decided to go to Latvia and watch the last hour of their national final. From what I'm reading, things are not too good in Latvia at the moment, and I couldn't help but feel a sense of gloom whilst watching the Ventspils 'extravaganza'. By the time I tuned in, we were on to the 'superfinal' which was between three songs - "Sastregums", "Dynamite" and "Angel of Mine". The first was a rock-type non-song which seemed to be sticking two fingers up to the accepted ESC norm. Swedish-written "Dynamite" didn't do much for me, and "Angel of Mine" I found quite disturbing and creepily staged.